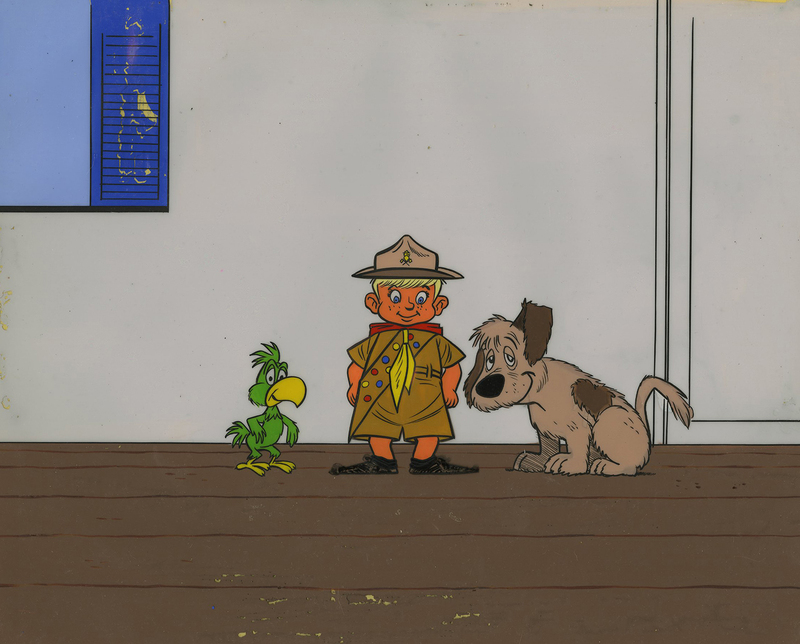 This is an original production cel from the Cambria Studios production of the pilot episode for Doc Potts (1960). 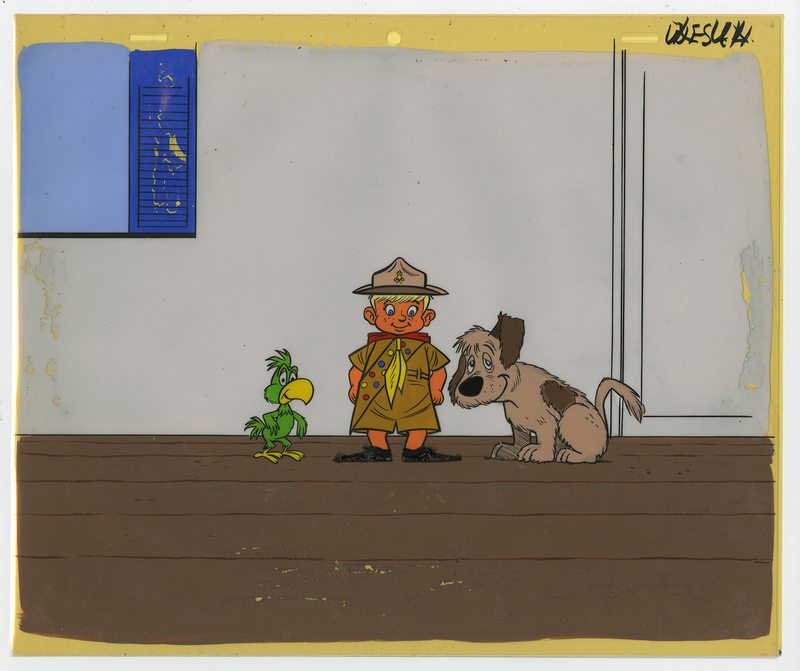 This production cel features Wessely and a couple animals and was created at the studio and used during the production of the series. The overall measurements of the piece are 10.5" x 12.5" and the image itself measures 9.5" x 12". This piece has multiple cel layers creating the image and the entire image is painted on cel. The piece is in fair condition overall, with areas of paint damage throughout the image.